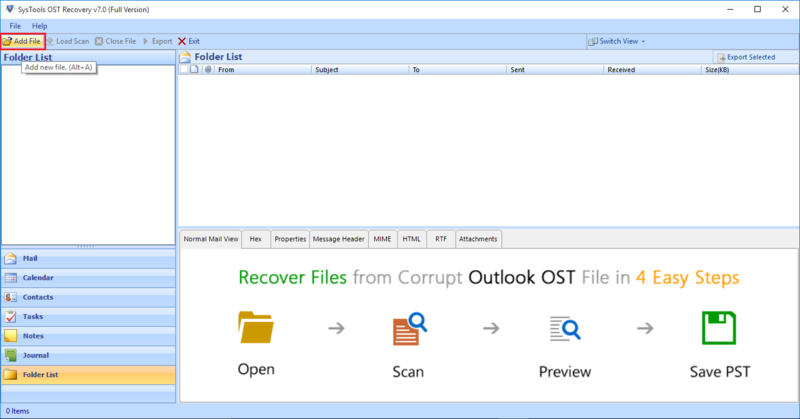 With the help of OST to Exchange Online Migration tool, the user can selectively move ost file to office 365. Thus saving the crucial time and space. You will have to select the desired ost files using the checkbox provided and then export. 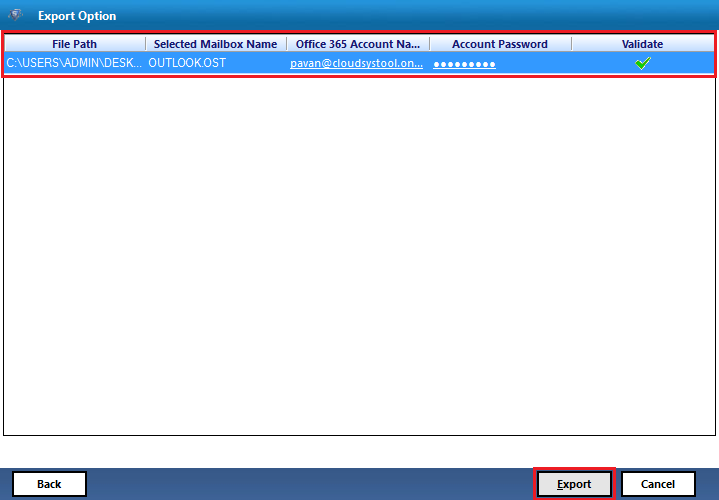 It will require credentials of Office 365 account such as username with password. The Outlook OST to Office 365 Tool efficiently manages and maintains the internal tree structure of the ost data while converting orphaned ost data to office 365. The data remains in the original structure or hierarchy before or after the completion of migration of offline ost to exchange online. 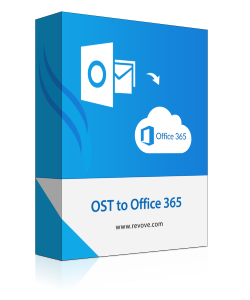 The OST File to Office 365 Migrator software provides the progressive functionality to upload multiple ost files to cloud office 365 with help of user impersonation facility. But You have to make sure that you have the credentials of the Admin account of Office 365. If you do not have the credentials then you cannot import ost to exchange online via user impersonation. The ost to exchange online migrator software provide the enhanced functionality to save the data of ost file into account of the respective user at cloud office 365. But this will require the user credentials of each user separately. If you do not want to provide the credentials separately then you can generate CSV file for the same using the software interface then automatically validate it from CSV file. The Migrate Offline ost file to office 365 provides the facility to import ost file to exchange online without loss of any data. 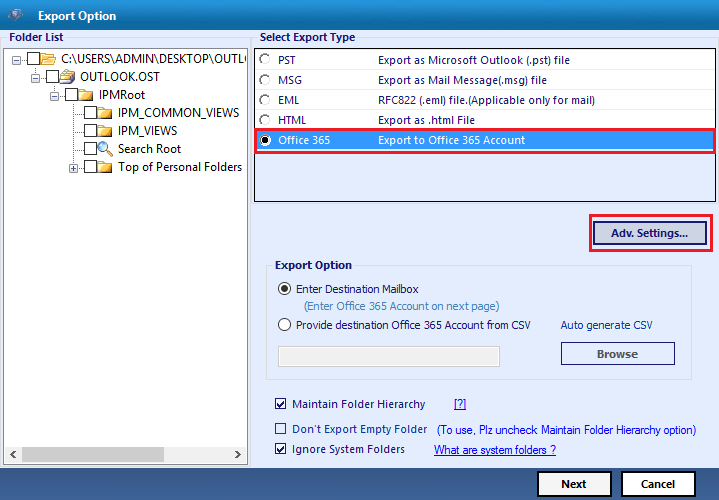 It allows to limits the ost data export to office 365 by using the default categories provided i.e. Mails, Contacts, Calendars, and Tasks. Select the appropriate choice as per need using the checkbox provided. 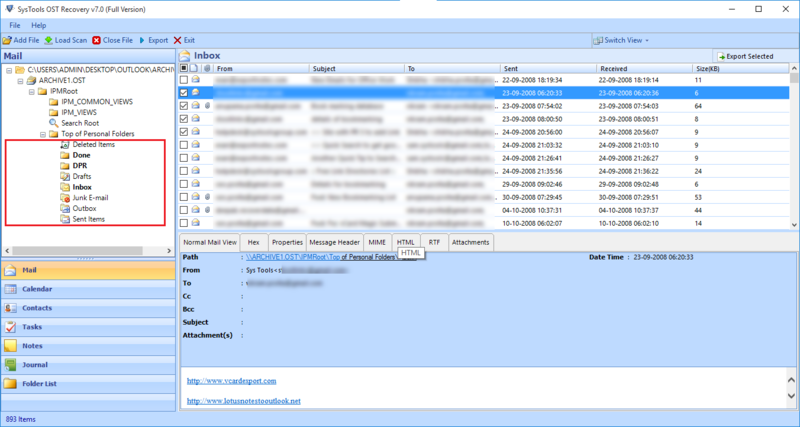 Demo version of OST to Exchange Online Software allows to Export first 25 Items from each folder. Does the software require the Exchange server or Outlook for migration? No, Software does not require any external application for migration of orphaned ost file to exchange online. Is there any option available for bulk migration? Can I selectively move ost file to office 365? Yes, Software provides the option to selectively import ost data to exchange online. Does the software support the corrupt ost also? I have the collection of OST file around 15 GB data and looking to move forward to office 365 environment but did not find any solution for the same. Then after some time, I came to know about OST to Office Migrator Software. I have used it and feels amazed to see the performance of the software. In less span of time, I successfully upload all of my ost file data to exchange online. Thanks for such nice software. I was facing the big hurdles in migrating ost file to office 365 with complete data. I have tried all the solution such as manual methods, articles etc. But the result was not satisfactory. Then I ultimately found the OST to Office 365 migration tool to move on. I am satisfied with performance and features of the software. Therefore I would like to recommend it to other also. At Last, big thanks to developer team for such nice software.